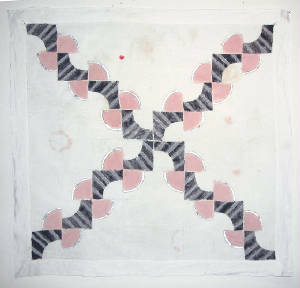 I have always been drawn to quilts as a traditional medium for artistic expression (particularly for women) and have frequently incorporated their patterns in 3-D mixed media work. 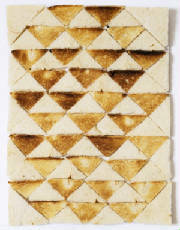 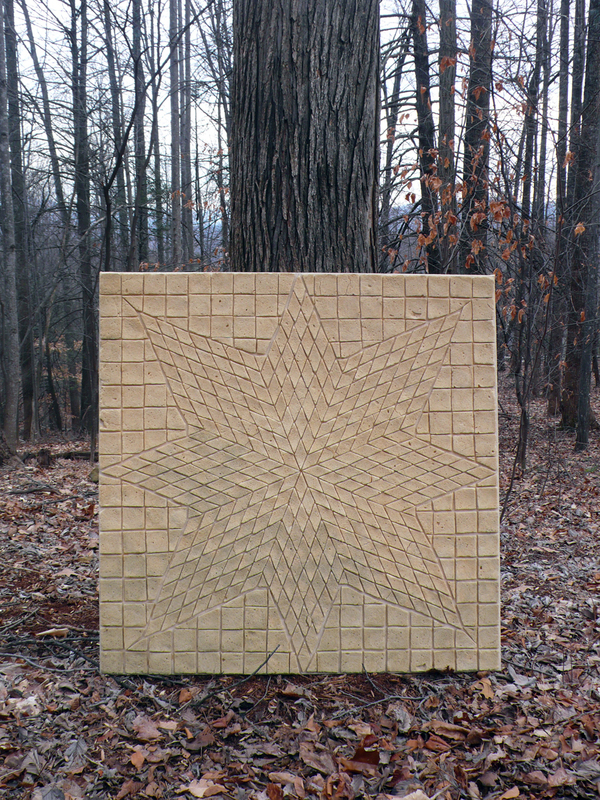 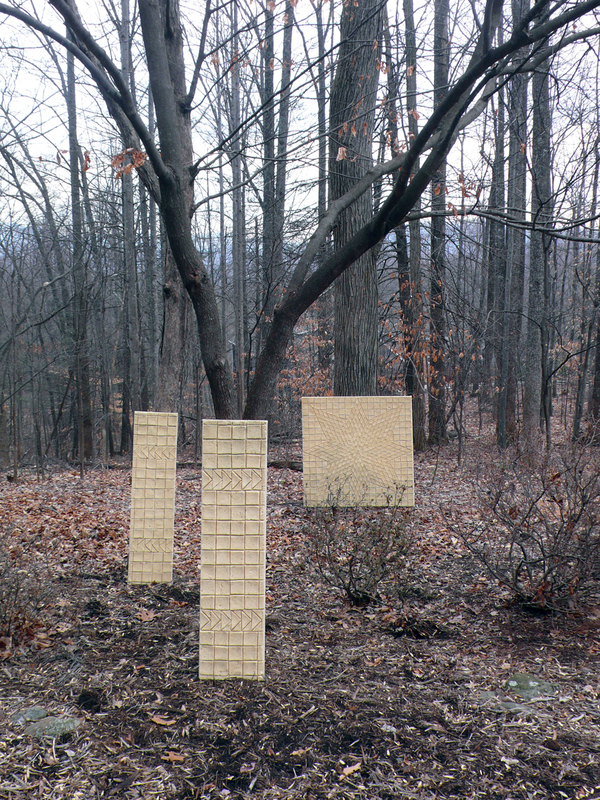 A series begun in 1994, Quilt Constructions, was based on traditional designs using non-traditional materials, including turkey skins, lead, and commercial white bread. 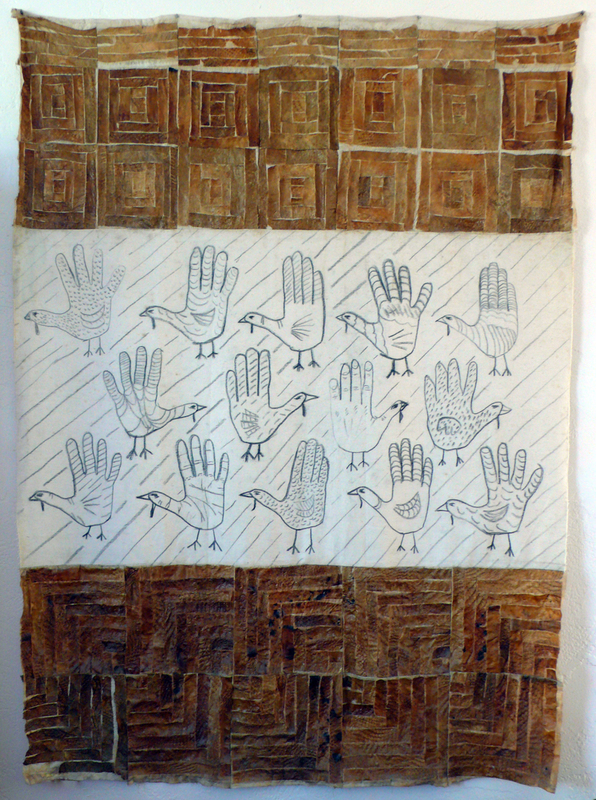 Quilt patterns continue to inform my more recent mixed-media paintings and are sometimes used as a structural or metaphorical device because of the richness of their textures, designs, and history. 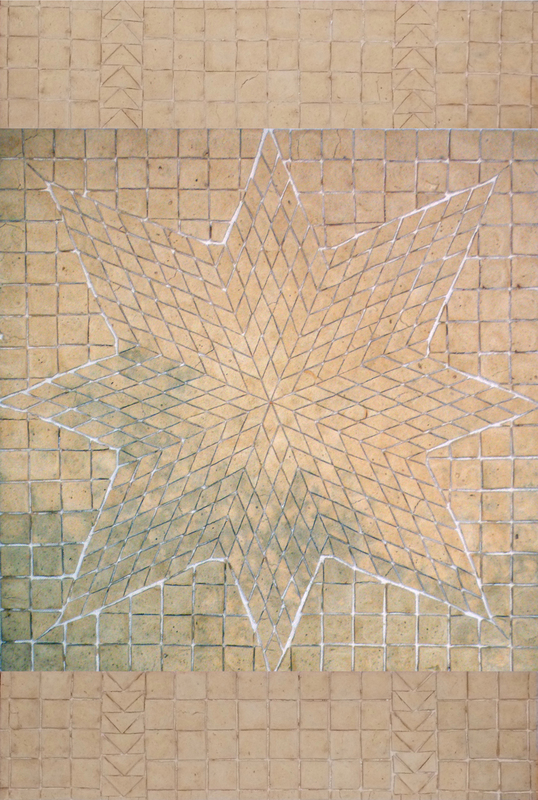 Agenda, 1994. 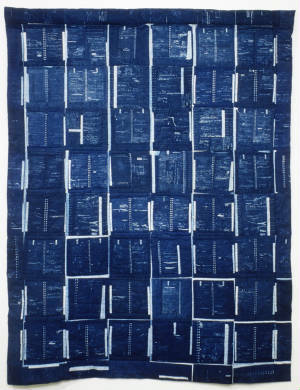 Cyanotype on cotton. 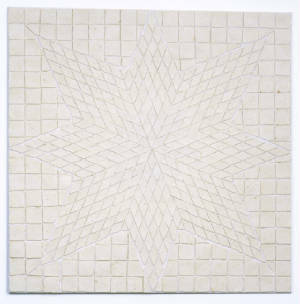 60" h x 42" w.
Crazy, 1996. 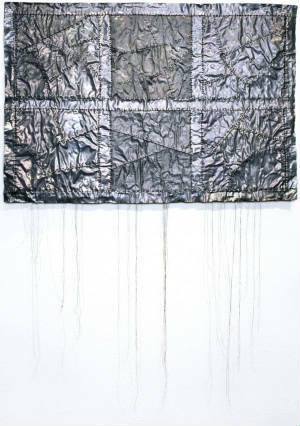 Lead sheets, lead solder. 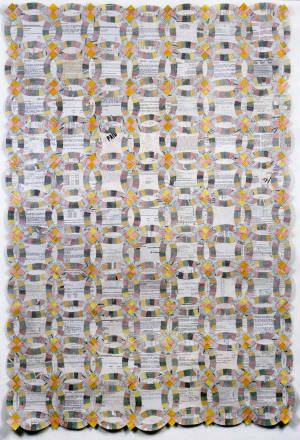 24" h x 36" w.